This has been the Summer of Special Olympics here on the island. As I watch the Summer Olympics 2012 Opening Ceremonies in London and the parade of athletes from each country, I cannot help but reflect on the victories we have witnessed for our Special Olympic Athletes on this tiny speck of land. Our local Special Olympics programs included Bocce, Bowling and Biking for many years. In May of 2011 an awesome young man moved to our island and enrolled in the Transition Program that I work in, his story moved me. His father chose to move to the end of the road in order for his son to have the opportunity to swim every day in warm tropical water. Rye—an inspiration to us all! 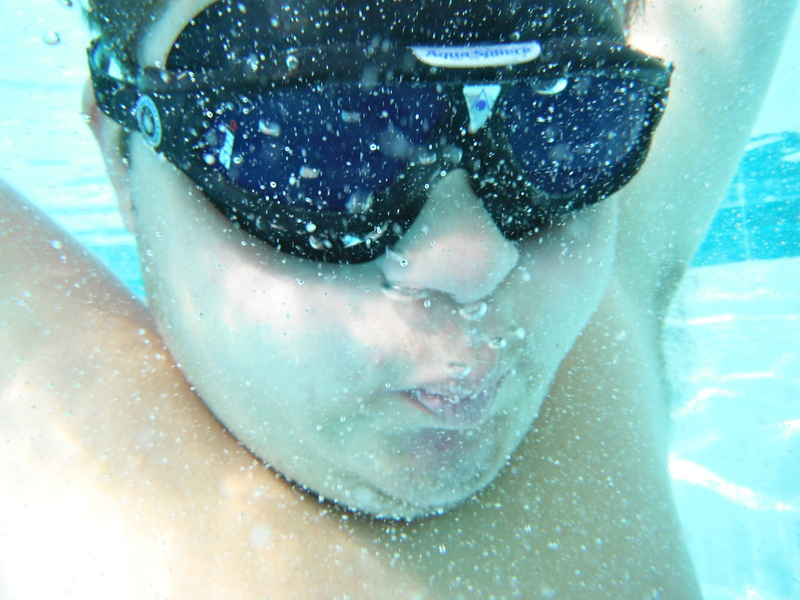 This young man, diagnosed with Down’s Syndrome, has a passion for swimming– a sport that saved his life and helped him recover from a fatal infection in his leg muscles—inspired me to join the ranks of our local Special Olympic Coaches and commit my summer to helping build the aquatics program. Not much travel or vacation time, but oh so worth it! In Jan. of 2012, the State of Florida allowed SUP to become an Exhibition Sport—the development of this sport has gone hand in hand with the expansion of our local Aquatics program. We have been able to give these island athletes the freedom to enjoy the tropical paradise they live in! With the introduction of Paddling and Swimming our athletes have been challenged to overcome many fears. Some have been scared of swimming in the ocean, some had a fear of deep water that kept them from swimming laps in a pool. 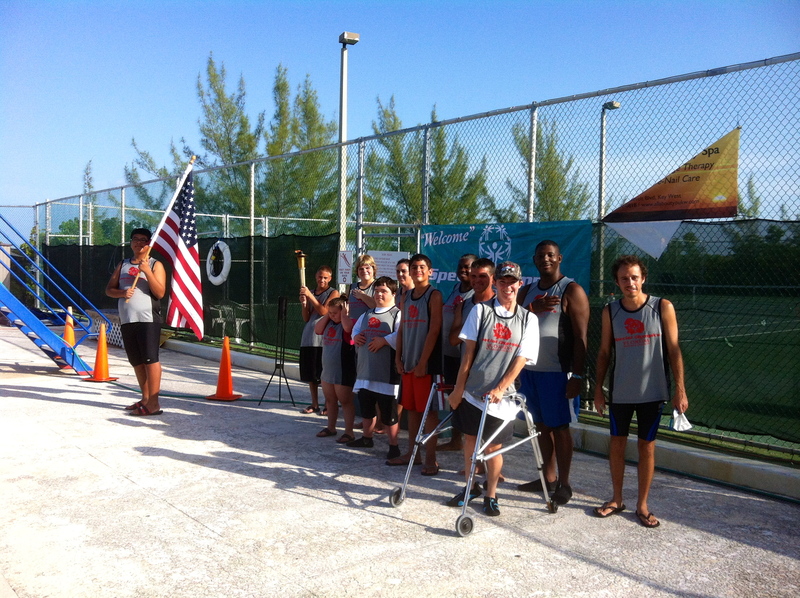 When Special Olympics Florida developed the sport of SUP, the one requirement for qualification as a paddler is that an athlete must swim 25 meters unassisted and without a float device. All of our Aquatics athletes conquered the fears they had to accomplish this goal and MORE! 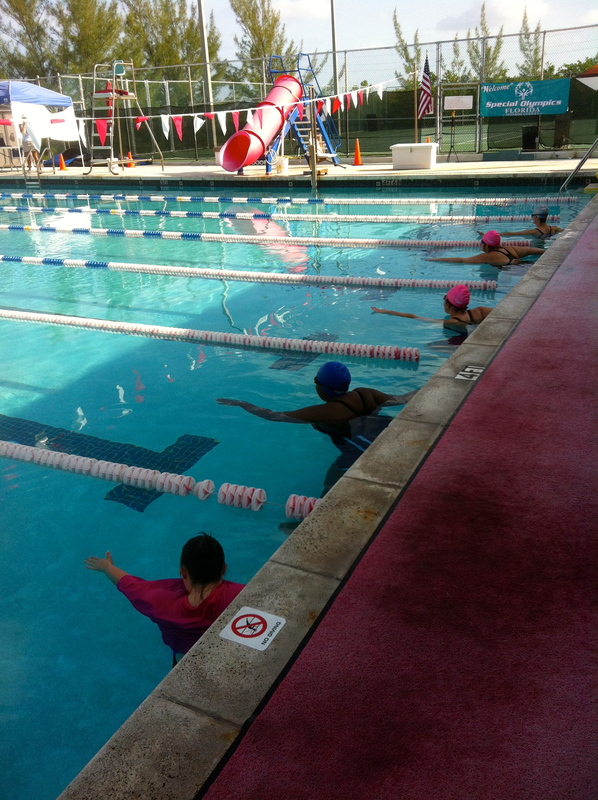 Today we held our FIRST local Aquatics Competition—the same day the Olympics Swim Competitions open! It was an awesome day! These athletes swam their hearts out! Staying on the island this summer was worth it—– every stroke those athletes took was priceless! I am so blessed to have been a part of this.